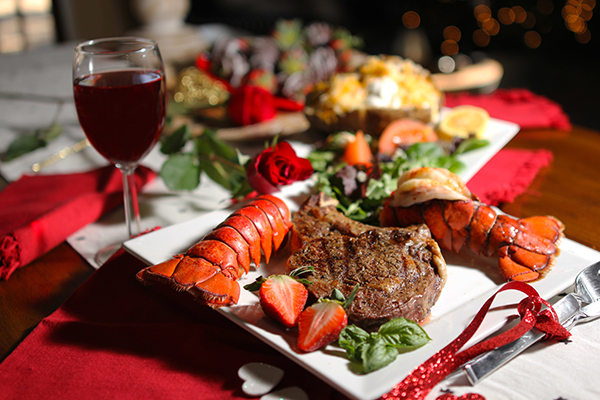 Celebrate Valentine's Day with deals and delights by the dozen. Find recipes, savings, and more below. 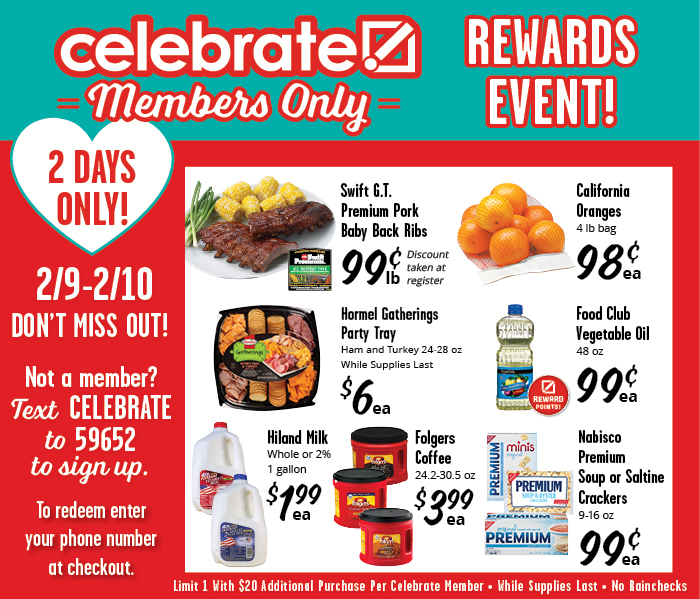 BONUS: This week's ad** is good for NINE DAYS—shop your weekly ad TODAY! *Containers and flowers may vary by store. 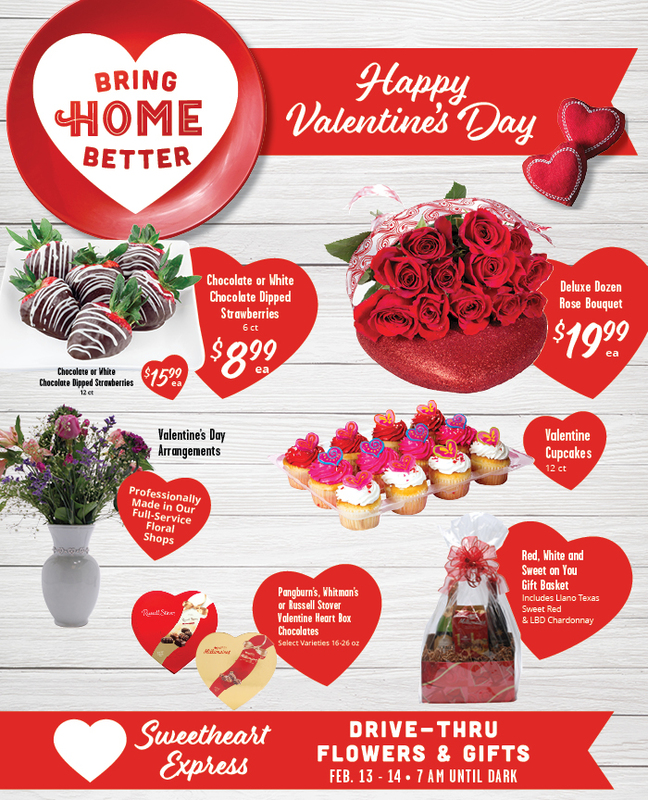 Floral and Valentine Candy items are not available at all locations. Contact your local store directly with any questions. Celebrate with two days of deals you'll go googly-eyed over. Not a member? SIGN UP TODAY! *Milk price versions with Louisiana locations due to restrictions. Say those three little words another way with a variety of recipes that bring out the warm & fuzzies.